Aside from the question/answer entries, most other entries are interesting facts that I learned, although a few entries record observations I made. Breaking down the entries by topic, animals were the subject of 35 entries, insects and mold each had 11 entries, five entries are astronomical in nature, and five could be classified as physics. 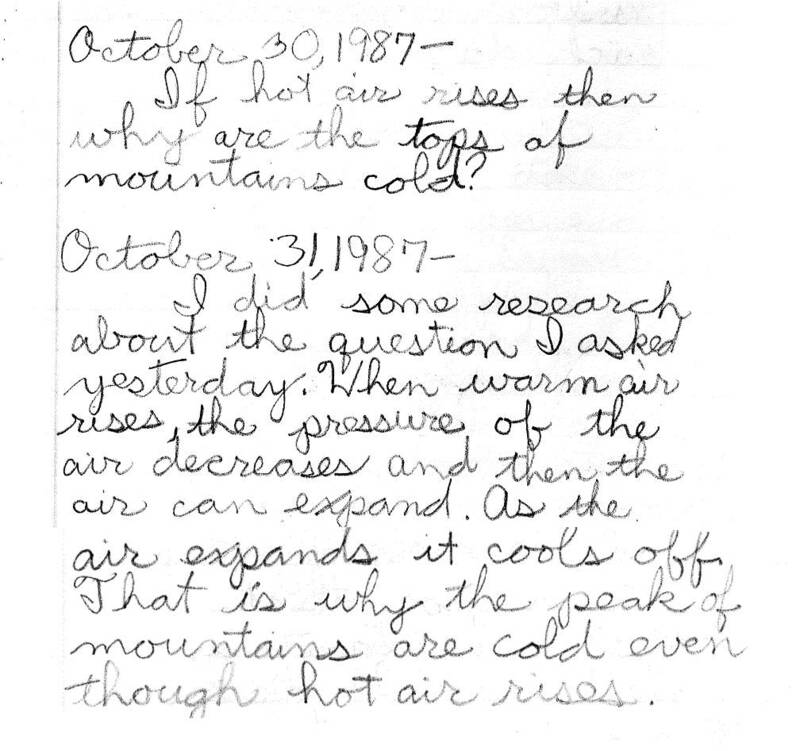 The notebook provides a revealing peek into my view of science at the age of 10. 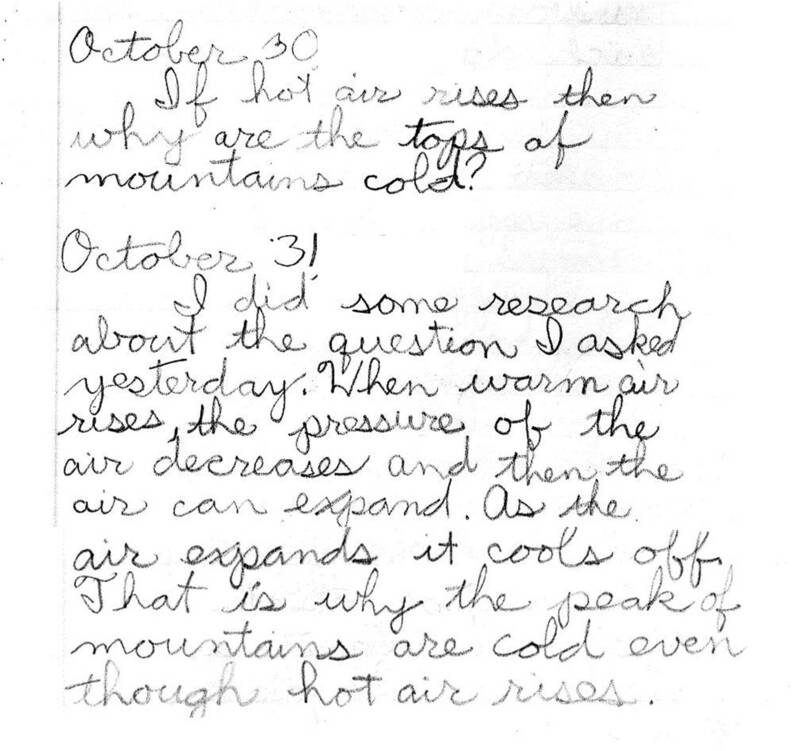 Over half of the entries in this “journal of science ideas” simply recount trivia, and although I asked questions in some of the journal entries, they were often questions with answers that I could find in a book. Experimentation and hands-on engagement are notably absent, except for one entry where I describe a demonstration that I did for my class. Earlier this month, a friend posted a link to an article at the Hechinger Report on the state of US science education. The article notes that the US approach to science education is “a mile wide and an inch deep” and that the content sequence does not build as logically as it does in other countries. My science journal certainly displays breadth without depth, and science comes across as information to be learned rather than puzzles to be solved. No wonder I wasn’t always fond of science as a kid! This entry was posted on February 25, 2011 at 9:59 pm	and is filed under Uncategorized. You can follow any responses to this entry through the RSS 2.0 feed. You can leave a response, or trackback from your own site.